Blepharoplasty—more commonly known as eyelid surgery or an eyelid lift—is a surgical procedure to remove excess skin and muscle from the upper and lower eyelids, along with the underlying fatty tissue. It is the third most common cosmetic surgical procedure with well over 200,000 procedures performed annually in recent years. Dr. Brian Kent, a board-certified plastic surgeon in Tulsa, Oklahoma, offers patients this opportunity to improve their appearance, and possibly their vision, with a blepharoplasty procedure. Is a Blepharoplasty for You? Blepharoplasty can improve drooping skin and bagginess. It can also help improve vision in older patients who have hooding of their upper eyelids. Blepharoplasty will not remove crow’s feet or other wrinkles, eliminate dark circles under the eyes, or lift sagging eyebrows. Dr. Kent will customize the blepharoplasty surgery in Tulsa for every patient depending on his or her particular needs. The two of you will work together during your consultation to come up with a unique treatment plan that will best achieve your desired results. Your blepharoplasty can be performed alone involving upper, lower, or both eyelid regions, or in conjunction with other surgical procedures of the eye, face, brow, or nose. It is important that you are in good health if you wish to have this procedure. Also, you should have realistic expectations. 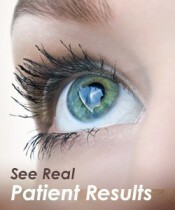 You will be able to look through before and after photos of Dr. Kent’s previous patients during your consultation. This procedure is performed in the operating room, usually under intravenous sedation or general anesthesia. Local anesthesia is an option we can discuss during your consultation. Skin, muscle, and fat are removed and an incision is placed in the eyelid crease. The scar often extends laterally to the eyelid area, but blends with the crow’s feet creases. Although the upper lid blepharoplasty in Tulsa is most effective at removing skin, the main purpose of the lower lid blepharoplasty is to remove the bags or excess fat that can often leave you with a tired or drowsy appearance. This can be done with an external incision just underneath the eyelashes, or through the insides of the eyelid (transconjunctival approach). Although only fat is removed through the transconjunctival approach, some skin and muscle can be removed through the external approach. It has become recognized that sunken eyes or skeletonized appearance gives the look of aging. Therefore, I would rather err on the side of removing too little than too much. This philosophy also decreases the chances of complications. Some degree of swelling and bruising are, of course, expected. For the most part, this resolves in about 10 to 14 days. Keeping your head elevated and applying ice for 20 minutes every few hours for the first 48 hours will help with healing. I use a running under-the-skin suture that is reinforced with Steri-Strips. These are removed three to four days after surgery—usually an easy and painless process. Most patients can close their eyes completely following surgery, but occasionally it takes a few days before this happens. If I am concerned, I will give you an ointment to place in your eyes when sleeping (to prevent the cornea from drying) and eye drops to use if your eyes feel irritated. When will I Notice My Blepharoplasty Results? You may have scars that remain pink for the first few months after surgery, but this can be disguised fairly easily using makeup. Ultimately, these scars will eventually become nearly invisible white lines and are camouflaged with the natural lines and creases of your eyelids. The result of your eyelid surgery will be a more youthful and lively appearance. Being the focal part of the face, this improvement to your eyes can make a dramatic difference in the overall look of your face. Further rejuvenation options include a facelift or brow lift to address other signs of aging. Will a blepharoplasty (upper eyelid lift) change the shape of my eyes? It depends. When a large amount of skin is removed from the upper eyelids, your eyes may appear larger and slightly rounder. As long as this isn’t overdone, most patients are thrilled with the difference. Speak with Dr. Kent about the results you can expect and any questions you may have about Blepharoplasty. Having practiced since 1987, he has plenty of experience and should be able to provide any information you need. For more information or to schedule a consultation, call Dr. Kent’s office at (918) 994-4100 or contact us online.